eBook PDF (90 Pages, 1.5 MB), Kindle, etc. This book is a developer's guide to basic accounting. 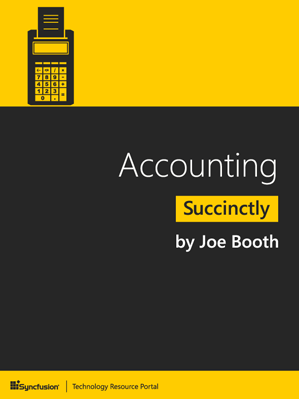 Written with business app development in mind, Booth discusses some of the most common accounting processes, including assets, multiple accounts, journaling, posting, inventory, and payroll. An appendix includes SQL code examples to get you started with several basic accounting transactions.